That’s what Brendan Ryan said in his article at golfwrx.com. “Crazy Town is a land of delusion, frustration and slow, painful failure,” Ryan wrote. “It’s a place where the whole point of the process is missed. Even though I’m a dad and have spent most of my life connected to the game, golf-dad craziness never afflicted me. I never had the temptation. My daughters stayed away from golf (and I didn’t push). They sang in choir, joined drama club and played soccer. What about you? Have you visited the land of delusion? Are you living there? Ryan offered three considerations for golf dads. First, he said “know where you end and your child begins.” If you’re using “we”—as in “we played,” “we shot,” “we won”—there’s a problem. There needs to be separation and a healthy distance. 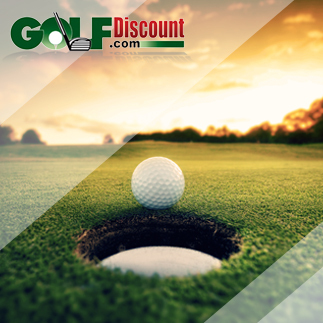 Allow your child to experience, and own, his or her golf game without your interference. Lastly, Ryan highlighted the work of Dr. Richard Learner, a researcher at Tufts University and the chair of the Institute of Applied Research in Youth Development. Learner is a proponent of the 5 C’s for child development: competence, confidence, connection, character and caring. Jean Cote, another researcher, has identified another C specifically for sports: competition. The idea is that when young people are focused on these six C’s, they will be more fully human and successful no matter what they do in life. The implication seems clear. Our job as dads (and parents) is to encourage this type of healthy development in our kids. For their sake. Not for our glory. OK, maybe just a teeny bit of glory.